Pandanus is a biannual peer-reviewed international journal publishing original research papers in English on nature symbolism in Literature, Art, Myth and Ritual. It has a regional focus on South Asia but welcomes papers from other regions. The journal is the outcome of the Pandanus project, based at the Institute of South and Central Asian Studies, Seminar of Indian Studies, Philosophical Faculty, Charles University in Prague. Pandanus volumes started coming out in 1998 on an annual basis as a result of co-operation between three Universities ... please click here to read the full text of Pandanus Mission Statement. Pandanus is indexed by ERIH PLUS. Pandanus ’98: Flowers, Nature, Semiotics - Kavya and Sangam. 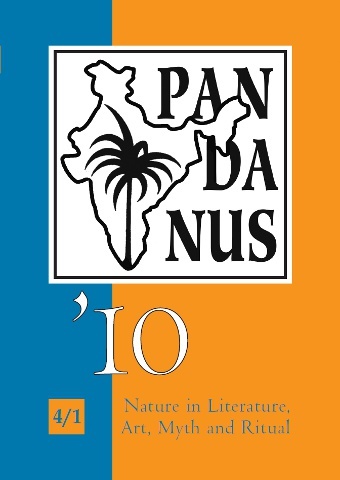 Pandanus 2000: Natural Symbolism in Indian Literatures. Pandanus ’01: Research in Indian Classical Literature. Edited by J. Boccali, C. Pieruccini and J. Vacek. Pandanus ’02: Nature in Indian Literatures and Art. Pandanus ’03: Nature Symbols in Literature. 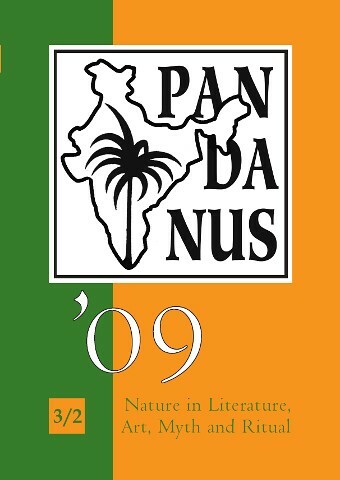 Pandanus ’04: Nature in Literature. Pandanus ’05: Nature in Literature, Myth and Ritual. Pandanus ’06. Nature in Literature and Ritual. Pandanus ’07: Nature in Literature, Art, Myth and Ritual. Pandanus ’08 / 1: Nature in Literature, Art, Myth and Ritual. Pandanus ’08 / 2: Nature in Literature, Art, Myth and Ritual. Pandanus ’09 / 1: Nature in Literature, Art, Myth and Ritual. Pandanus ’09 / 2: Nature in Literature, Art, Myth and Ritual. Pandanus ’10 / 1: Nature in Literature, Art, Myth and Ritual. Pandanus ’10 / 2: Nature in Literature, Art, Myth and Ritual. Pandanus ’11 / 1: Nature in Literature, Art, Myth and Ritual. Pandanus ’11 / 2: Nature in Literature, Art, Myth and Ritual. Pandanus ’12 / 1: Nature in Literature, Art, Myth and Ritual. Pandanus ’12 / 2: Serpents in Angkor. Apotheosis of a Decorative Motif. Pandanus ’13 / 1: Nature in Literature, Art, Myth and Ritual. Pandanus ’13 / 2: Nature in Literature, Art, Myth and Ritual. Pandanus ’14 / 1: Nature in Literature, Art, Myth and Ritual. Pandanus ’14 / 2: Nature in Literature, Art, Myth and Ritual. Pandanus ’15 / 1: Nature in Literature, Art, Myth and Ritual. Pandanus ’15 / 2: Nature in Literature, Art, Myth and Ritual. (c) 1998-2016 Seminar of Indian Studies, Institute of South and Central Asia, Faculty of Arts, Charles University.